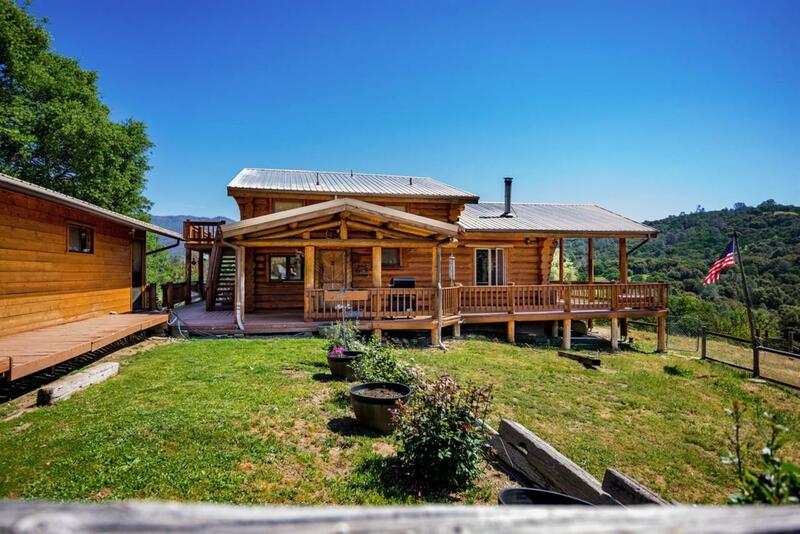 Cedar Log home in North Fork Country! A cozy 2 story, 2 bedroom, 2 bath of approximately 1,700+/-SF. Log beams and covered log porch with incredible vista views towards Shaver Lake and mountain areas. 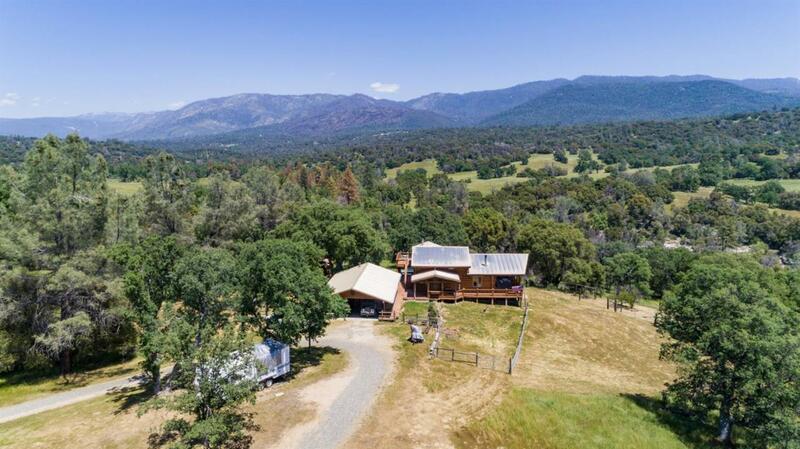 Located back on 19.78 acres of private usable land. This is horse property! 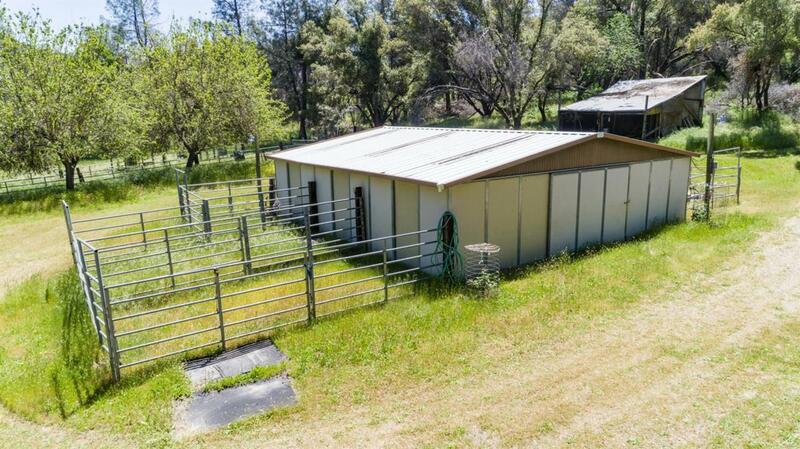 There's a separate 3 car sized finished garage, a paid for solar system, a large pole barn with attached shed for firewood, a 30x30 metal horse barn with 5 stalls with corner feeders & a tack room, 5 separate paddock shelters, a round corral in the back and upper corral with a cattle squeeze on the front of the property. Fenced and cross fenced and a very old hay barn. Backs up to Forestry land with Willow Creek following nearby and also backs up to the Rex Ranch. A great home or retreat! On Corrine Lake Road, so go fish!